Priority #: 320 - Uniregistry, Corp.
.fashion is a gTLD that was proposed in ICANN's New gTLD Program. After a Private auction in May 2014, MMX, also known as Minds + Machines, became the only applicant for the string. 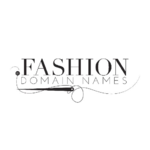 .fashion is a new generic top-level domain targeted to fashion industry professionals and enthusiasts as well as for use in specialty applications including photographer, designer and model portfolios. .fashion was delegated on 6 December 2014, and launched into GA on 15 April 2015. The .fashion top-level domain (TLD) is an open TLD, open to all, and offers fashion, clothing and footwear brands and businesses a unique opportunity to strengthen their web presence. By creating a memorable, unique address, .fashion strongly ties individuals and brands to the concept of fashion. The domain works equally well across a variety of applications: it could be used for a clothing brand’s online store, a model’s portfolio page, a photographer’s online flip-book, a cosmetics brand’s web presence, and much more. MMX, also known as Minds + Machines- It is one of 68 new gTLD applications filed for by the company on its own behalf. This applicant submitted a Public Interest Commitment, which can be downloaded here. Donuts (Big Dynamite, LLC)- Is the company with the largest number of new gTLD applications; a total of 307 strings. Donuts created a separate LLC to submit its application for each domain name string including Big Dynamite, LLC for .family. Its investment for application fees alone was $56 million. This applicant submitted a Public Interest Commitment, which can be downloaded here. Uniregistry, Corp.- a new company established by Frank Schilling, a domain name investor who personally invested $60 million in the company to apply for 54 new gTLDs. In a private auction conducted by Applicant Auction in May 2014, TLDH won the rights to .fashion over the other three applicants for an undisclosed amount. This page was last edited on 29 November 2017, at 22:01.